Stewart Duff was one of my students at the Queensland University of Technology. He will soon graduate with a Bachelor’s degree in Primary Education. 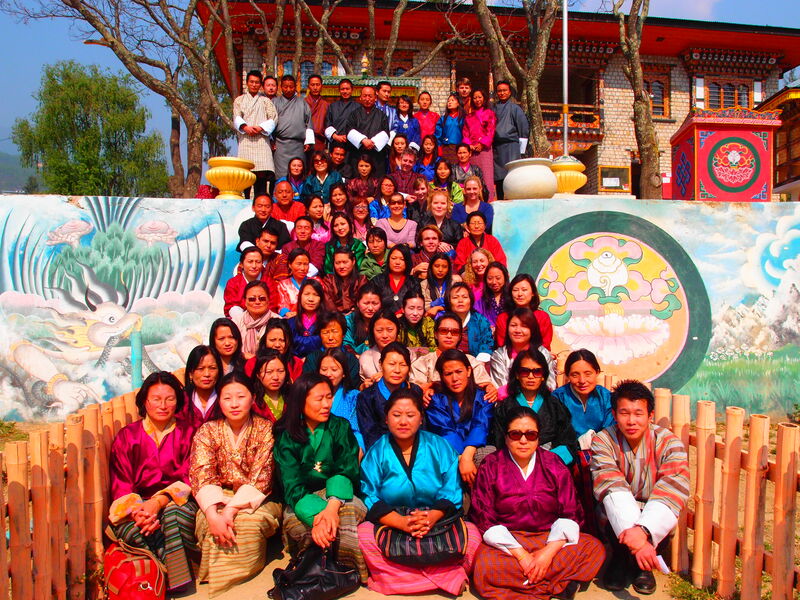 Stewart was part of a team of university students that took part in a Service-Learning project in Bhutan. It was led by Professor Sue Carrington and her colleagues. In this blog he shares some of his experiences on the use of ICT in his classroom. 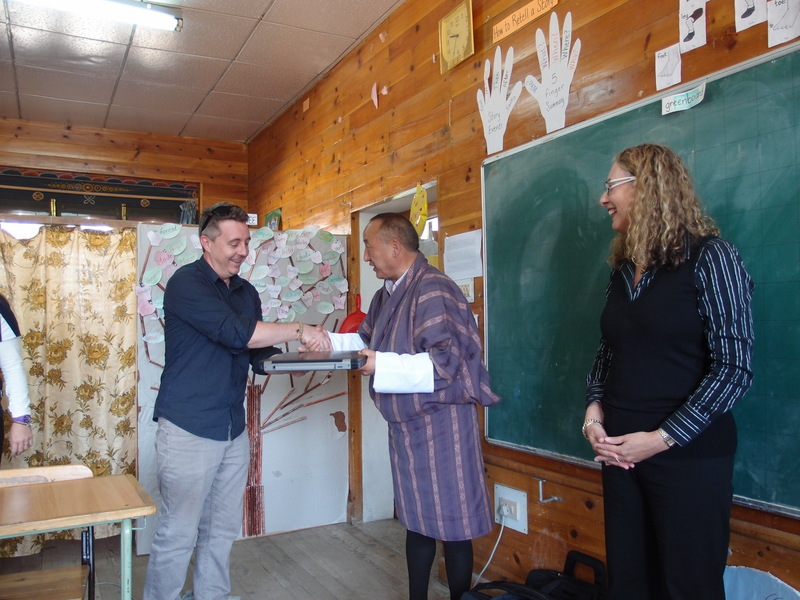 I was fortunate enough to be invited to travel to Bhutan with QUT as part of a Service-Learning program to promote the benefits of inclusive education. As part of this program, we donated six laptops to the school that we worked at. These laptops were given to us by the SEE Project. The laptops provided an opportunity for Bhutanese teachers to use this technology to enhance inclusive practices. However, for many teachers and students, this type of technology was relatively new in an educational context. To promote the laptops as a tool to enhance inclusive teaching practices, we worked collaboratively with the Special Education teachers, demonstrating the capabilities and potentials of the laptops in the classroom. We used the laptops to support the learning of those students that found it difficult to participate in the traditional classroom environment. This allowed students with learning difficulties and disabilities to communicate their understanding of content, enabling them to become participating members of the classroom. One of the most emotional and touching moments occurred on the second day of working in the school. Our Service-Learning supervisor and another QUT student had been working with a young girl who was in a self-contained class. This student had extremely limited modes of communication. After observing the student on the first day, my supervisor decided to place a laptop computer in front of her and proceeded to read out some simple words. To everyone’s astonishment, the girl started to type on the keyboard the words that were read out to her, with high accuracy and fluency. The teachers present in that room were absolutely stunned and overcome with emotion as they had just experienced something life-changing. Throughout the day the student continued to write and solve mathematical problems via the laptop computer. Although unable to express herself through traditional means of communication, she was able to show her knowledge and express herself through an alternative medium. A life in emotional and communicative isolation was over – a new chapter had begun. It was amazing to witness the transformation that technology can bring in a person’s life. This entry was posted in 2014 and tagged Bhutan, Duff. Bookmark the permalink.